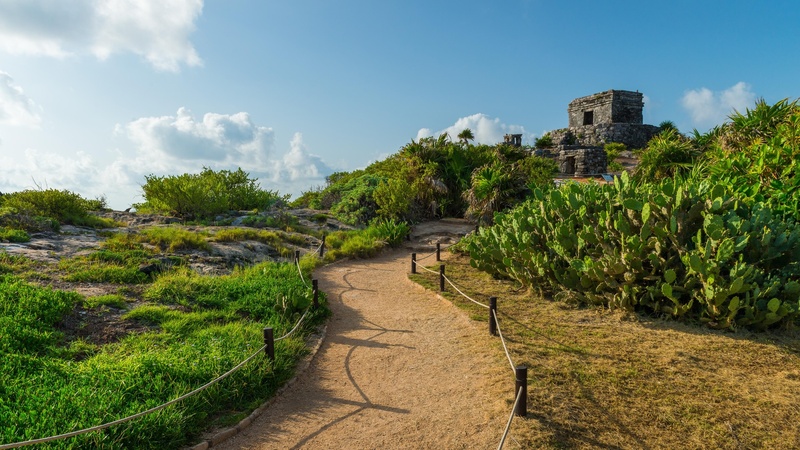 Tulum is one of the areas of Riviera Maya where natural beauty and the Mayan past are combined to offer one of the most extraordinary landscapes in the Caribbean. The ancient ruins are located on cliffs over a beautiful tropical beach, this gorgeous location chosen by the Mayans for erecting a temple dedicated to the god of the wind. 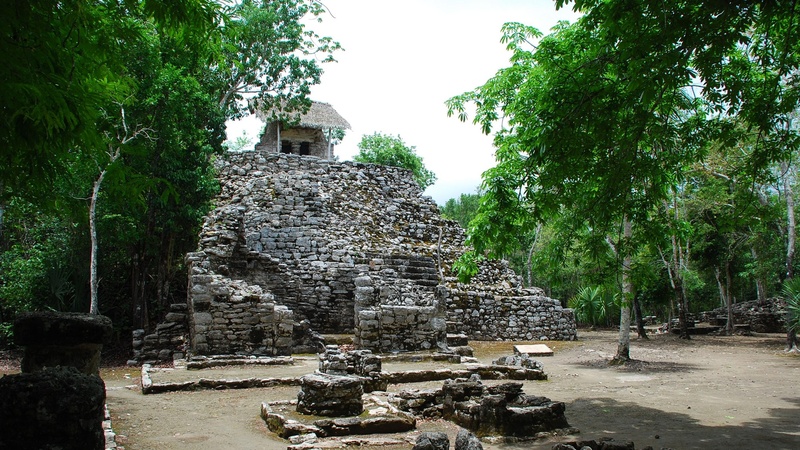 The city was formerly known by the name Zamá, which means dawn in Mayan. These ruins correspond to an ancient walled city whose splendour dates to 1000 AD. 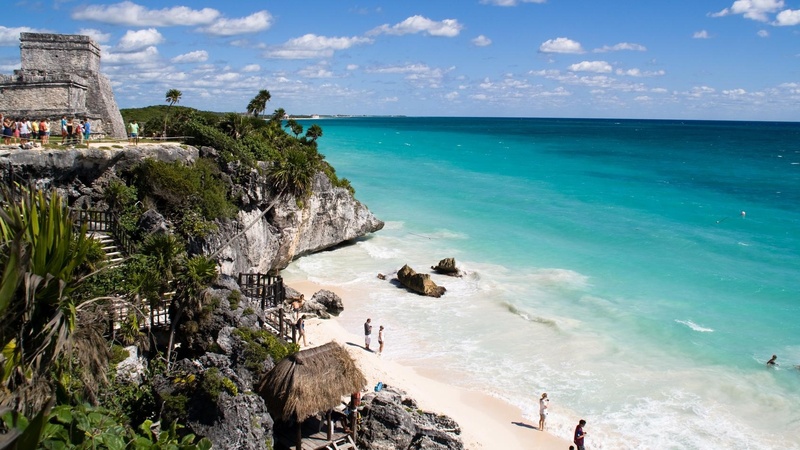 The archaeological region is located in the Tulum National Park, a vast extension of forests and mangroves of unique beauty which are home to different species of flora and fauna. It is the only ruin preserved on the beach and is probably one of the most attractive places in the whole Mexican landscape. 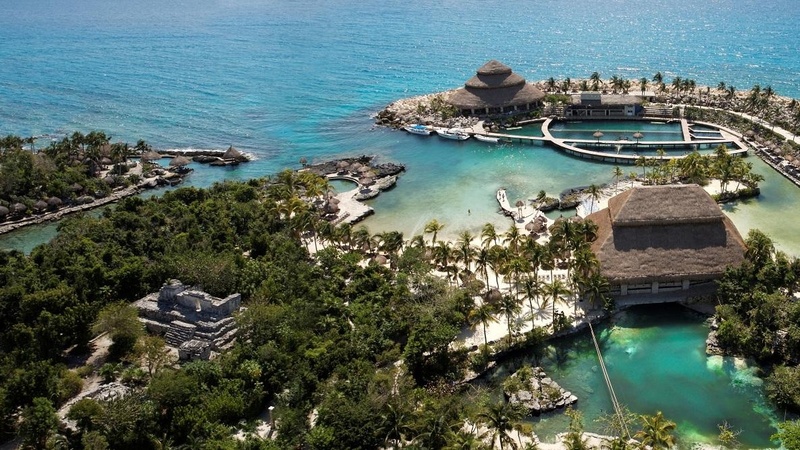 Immerse yourself in the ancient history of the Mayans by visiting this unique location, and enjoy the view you obtain by swimming on its beach. A unique experience! 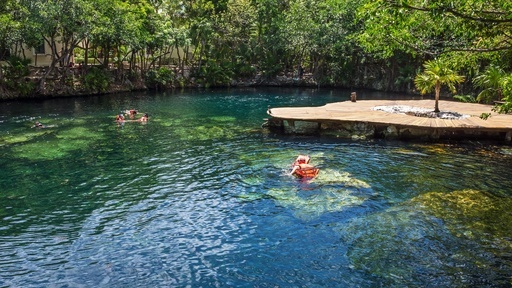 One of the great privileges of Riviera Maya, scattered throughout its landscape, are the hundreds of cenotes that give it a unique character. Cenotes are pits or caves which lead to rivers and underground lagoons, thereby creating underground complexes which are very attractive to those who love scuba diving. Depending on their size, it is possible to visit them and even swim, and this is probably one of the most original activities you can carry out in Riviera Maya. 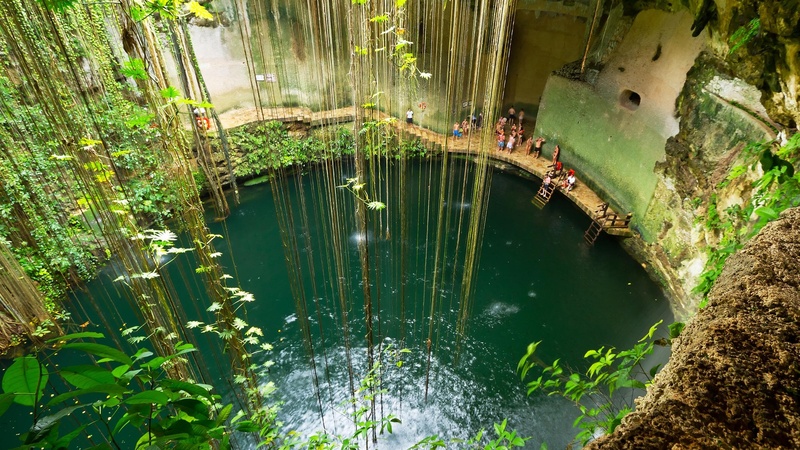 Among all of these cenotes, the Gran Cenote is notable, just over three kilometres from Tulum, a great tropical place for swimming in the jungle. Here the crystal clear waters are lit by the natural light of the exterior, perfect for practicing snorkelling and investigating the depths that reach ten metres or simply admiring the curious stalactites and stalagmites. 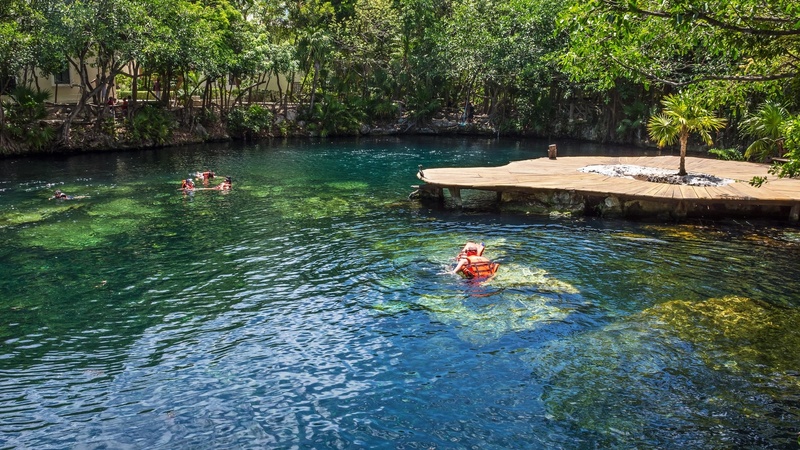 Another nearby cenote in the same region of Tulum is the Dos Ojos Cenote, but in this case, it is an excursion only suitable for the most intrepid. This place is characterised by forming part of a complex of over 60 kilometres of underwater caves (one of the largest in the world), but the Dos Ojos Cenote is just a small section which owes its name to the two pools which lead outside, connected by a 400-metre tunnel. Here, beyond swimming, you can cross these galleries full of stalactites and stalagmites, and see fish in the water. These excursions offer all equipment and are carried out in small groups of four people, accompanied by a guide. The clarity of the warm waters makes this trip very pleasant; even more so if it is in such an extraordinary place as this underground cave. 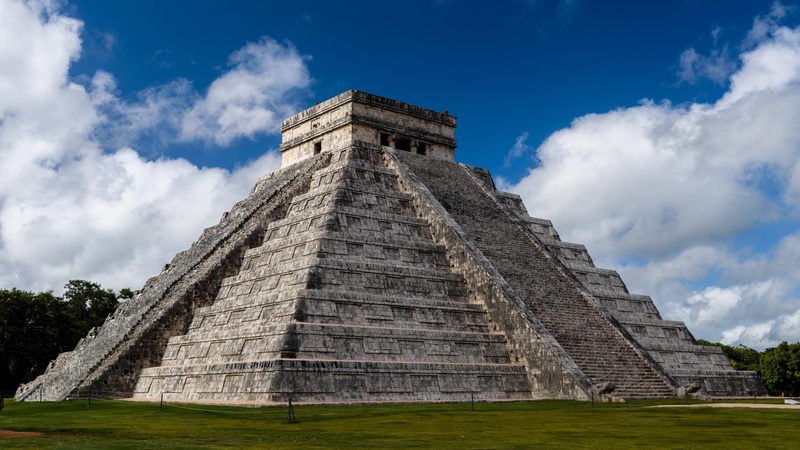 Chichén Itzá is without a doubt the most emblematic location in Riviera Maya – who hasn’t seen its impressive pyramid on a postcard? It is one of the essential visits on any trip to this region, as it is a sample of what was once the Mayan civilisation in all its splendour. It is found just 40 kilometres west of Valladolid. These are the best-preserved archaeological remains in the region, with the immense Kukulkán pyramid as the central piece of this complex, which is today considered one of the seven wonders of the modern world. The complex also has two sacred cenotes, a Mayan ball game, the Ossuary Platform, several monumental squares and the thousand-column patio, which lives up to its name. 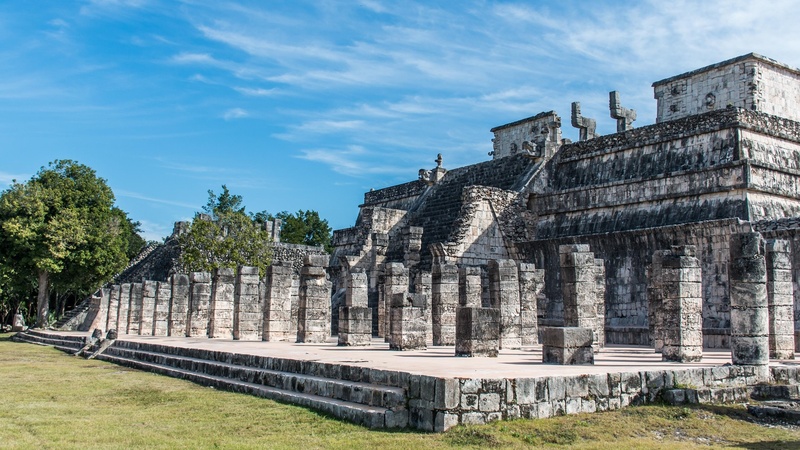 Almost 30 kilometres north of Valladolid, at the heart of the Yucatán Peninsula, is Ek Balam, meaning “black jaguar” – one of the most attractive archaeological sites in the region. 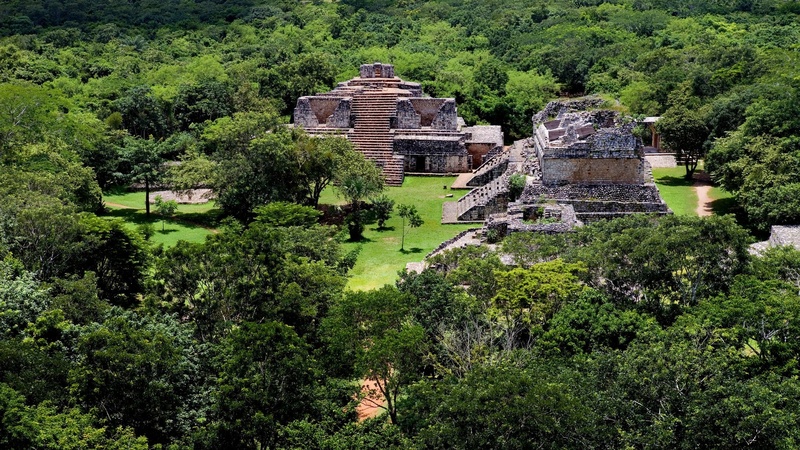 The site is made up of 45 structures surrounded by two walls (originally three), and inside we can find all kinds of buildings which were mainly the residences of the elite. This settlement was known as Talol, an important city which dates back to 300 BC, although the majority of the buildings correspond to the classical period. The most interesting element is probably its acropolis, as it is the largest building, perfectly preserving the plaster friezes which emulate distant figures. On the inside, we find the tomb of Ukit Kan Le'k Tok'. It is highly recommended to climb to its summit to observe the views. 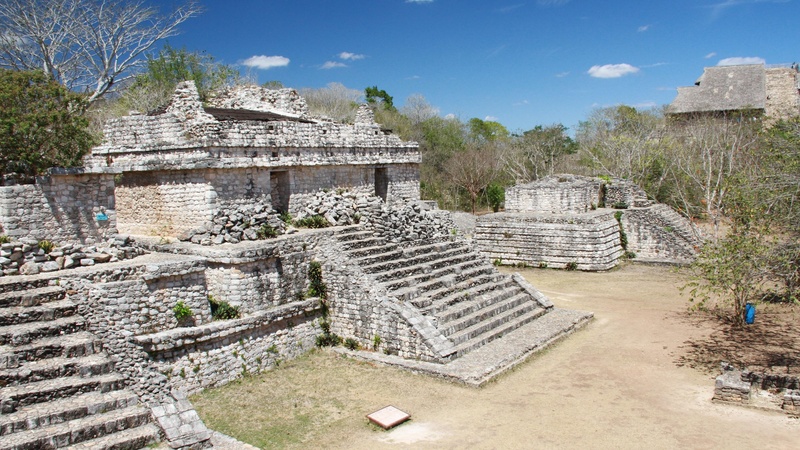 We can also find a Mayan ball game, the Oval Palace, and entrance arch and two twin pyramids. Finally, it must be noted that Ek Balam is very important in archaeological terms for the presence of friezes which show the artistic mastery of this civilisation. There are few places where such well-preserved remains of this type are found. 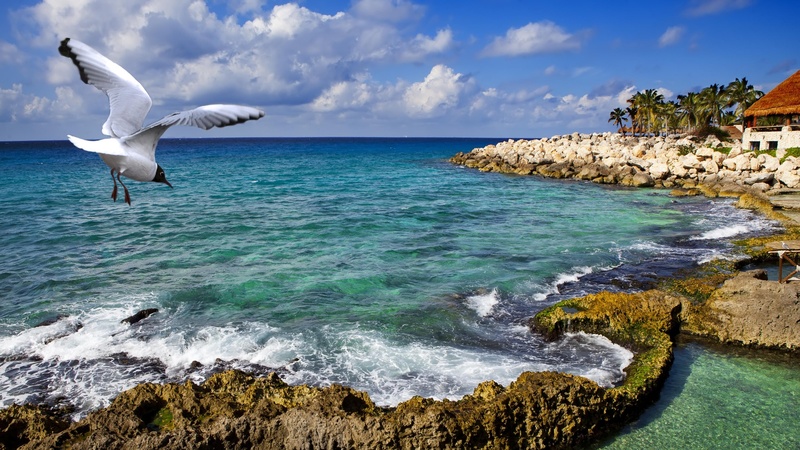 Cozumel, whose name means “the island of the swallows”, is the third largest island in Mexico and has the privilege of being located on the coast of Riviera Maya, just 18 kilometres away. 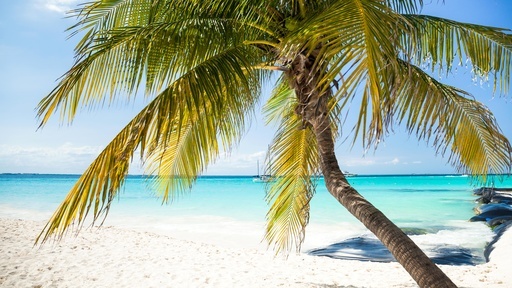 To reach Cozumel you must take a ferry from Playa del Carmen, which will arrive in just forty minutes. It is also possible to reach it by aeroplane as it has an international airport. 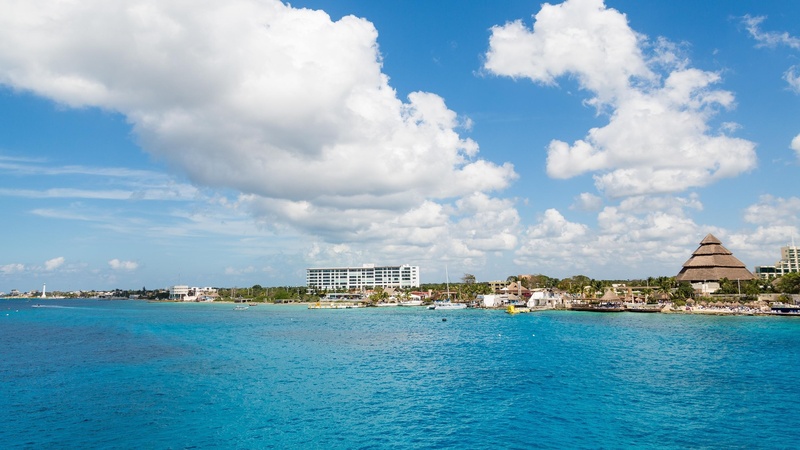 Once on land, in the largest city, San Miguel de Cozumel, we find a place with a lot of tourism for taking a pleasant walk through the harbour and buying a souvenir. The island has a steep, windswept coast, and it is therefore recommended to visit the most sheltered beaches of the west coast such as Playa Palancar, while the east coast is kept more unspoilt, but with stronger winds. Along the coast, we also find resorts which encourage relaxation. For those who wish to experience nature in its pure form, the Celarain Lighthouse, located at the southernmost point of the island is an impressive Nature Reserve for admiring the native flora and fauna of this island and for visiting its different ecosystems. 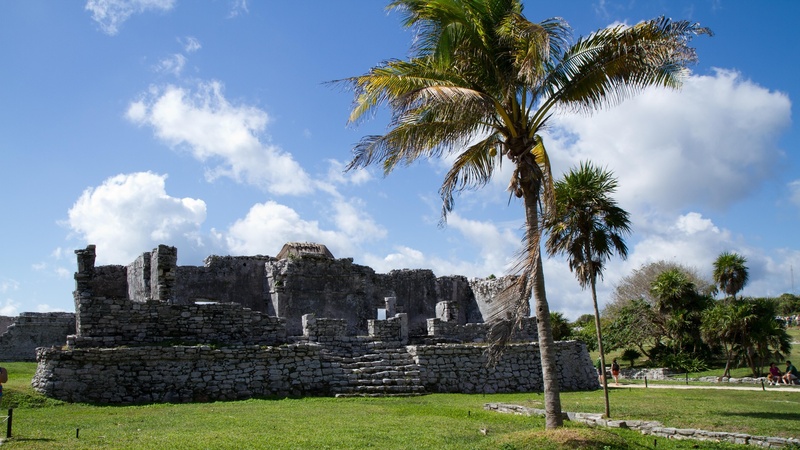 Additionally, there are also very interesting Mayan archaeological sites to visit, specifically El Cedral, where the Spanish established the first Christian heritage, and the ruins of San Gervasio, an ancient sanctuary dedicated to the goddess Ixchel. Scuba diving is the star activity, thanks to the beautiful reefs that surround the island. The varied fauna that can be observed here is the greatest attraction for scuba divers from around the world. A very good place for doing so is the Chankanaab Reserve where there are excursions to the reefs and where you can snorkel in its large inland lagoon, among other activities. 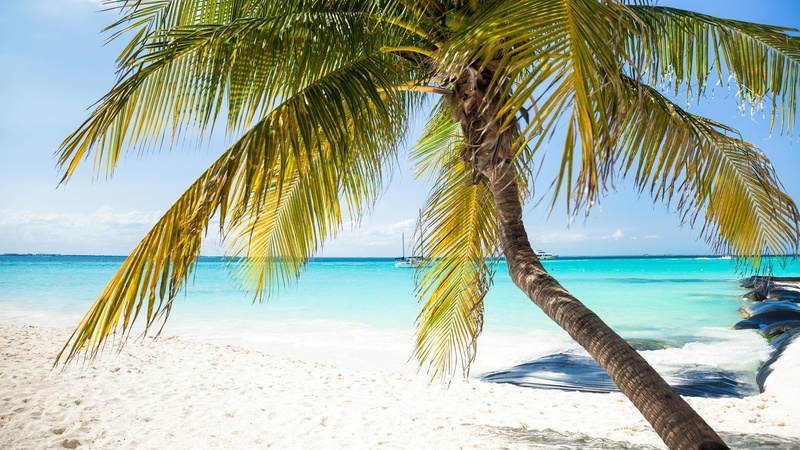 Finally, it must be noted that there is a very romantic area in the northern region known as Isla de la Pasión, the favourite place for lovers to escape and be charmed by this marvellous Caribbean landscape. 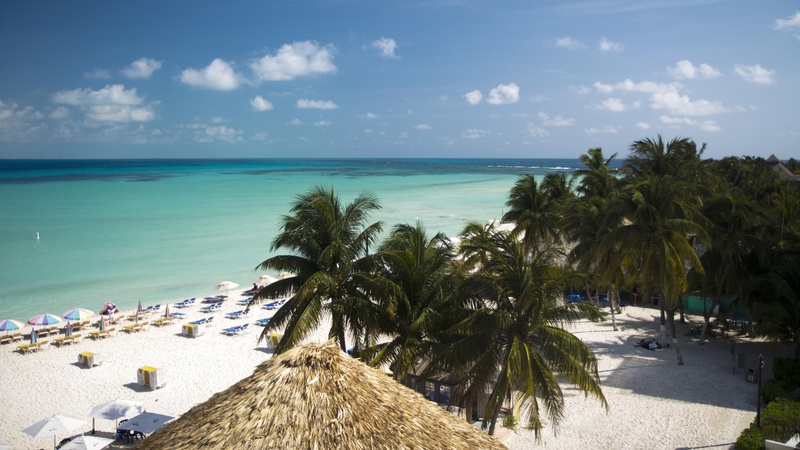 In the Caribbean Sea, 20 minutes by boat from Cancún, there are small paradises such as Isla Mujeres, an incredible natural environment with clear waters and splendid marine life, which is a perfect excuse for a trip by sea. This island is just 500 metres wide and 7.5 kilometres long, but with many activities to carry out. Normally, the main attraction is scuba diving, as the underwater fauna is truly diverse, particularly with dolphins and turtles, and with this island also preserving this beloved species in the renowned Tortugranja turtle farm. If you prefer to relax and enjoy some tourism, any of the beaches of this island will be the ideal place, with one of the cabins that offer a delicious menu and refreshing drinks so that you don’t have to worry about anything more than enjoying the landscape. 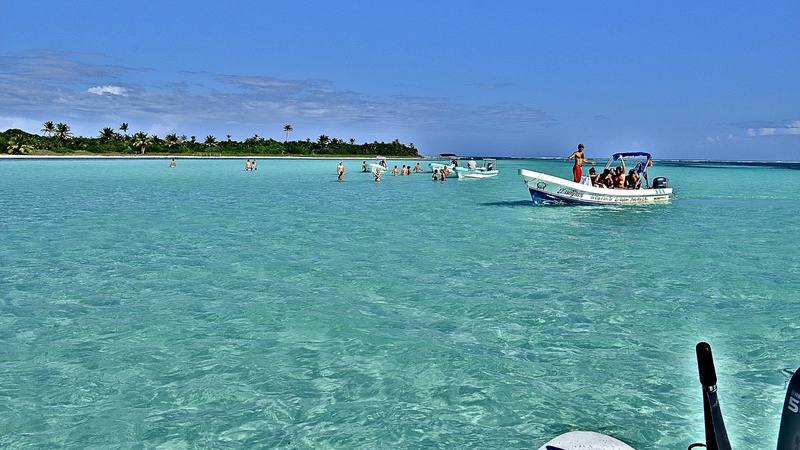 Playa Norte is one of the natural jewels of this island with crystal clear waters and marvellous sunsets for practicing snorkelling and kayaking. 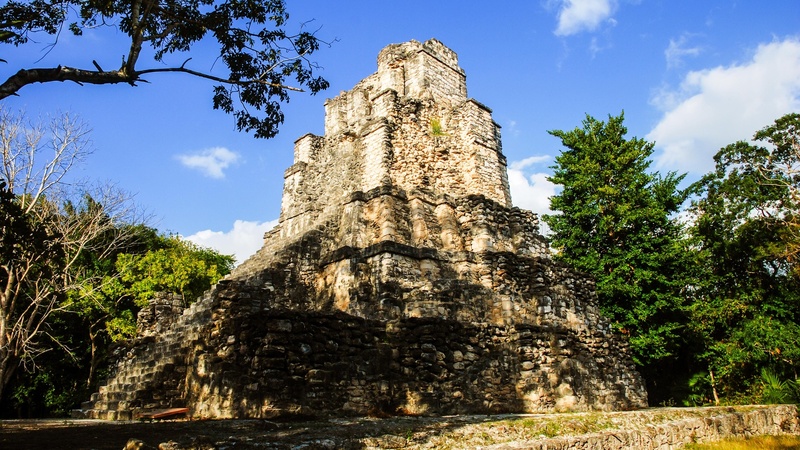 You can also take a walk around the charming fishing village located in the north, visit the ruins of the area dedicated to the Mayan fertility goddess Ixchel, and discover the mysteries of the Hacienda Mundaca. So many things to do in such a small area! 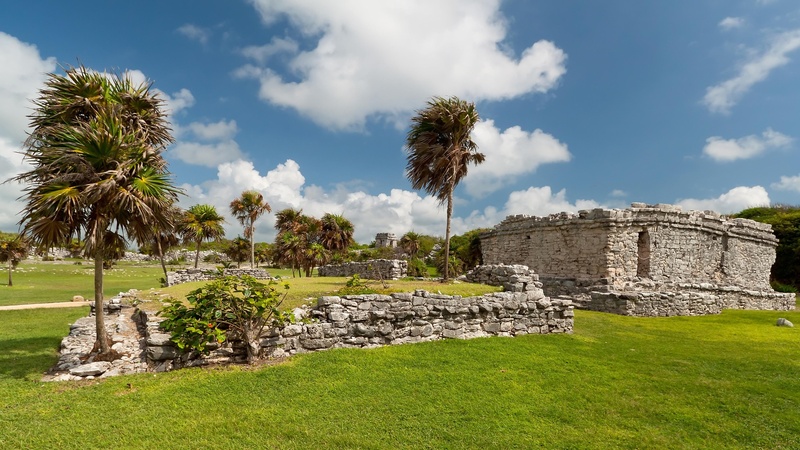 In the middle of the Sian Ka’an Nature Reserve, next to the Muyil lagoon, located in the north of the reserve, is the archaeological site of the same name which shows how a town looked in the classical Mayan period. 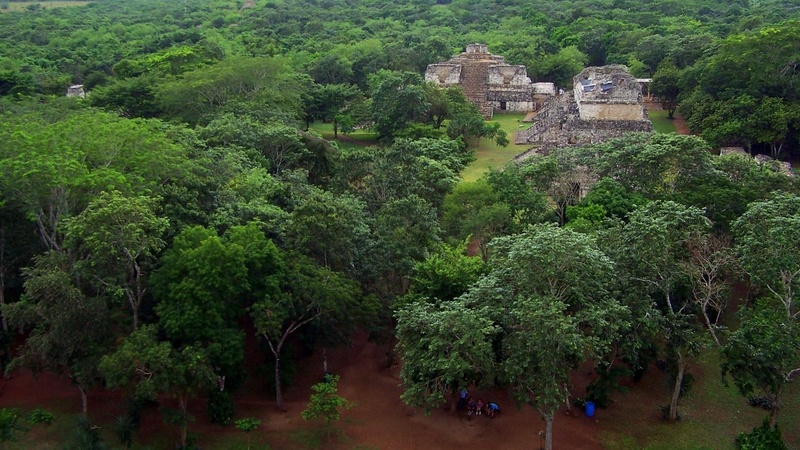 It is a much more humble settlement than that of Chichén Itzá, but no less impressive, as the thickness of the jungle and the nearby lagoon will make the excursion much more interesting. Following the marked hiking routes and accompanied by expert local guides, you will be able to observe houses from that period, a small temple hidden among the undergrowth, and the key piece of the visit, the pyramidal castle dedicated to Ixchel, the goddess of fertility, an enormous 17 meters tall structure found in the middle of a jungle clearing. It is said that babies used to be brought to this temple to be blessed by the goddess. The settlement was ultimately abandoned due to drought. To complete the visit, it is recommended to take a boat trip on the Muyil lagoon and travel the channels, between mangroves, which connect it with the neighbouring Chunyaxché lagoon. A nice swim in its waters will be a refreshing end to this visit. Nichupté is a natural ecosystem located at the heart of Cancún, made up of lagoons and mangroves with an area of over three thousand hectares. It is a Protected Natural Area of vital importance for the biodiversity of the region. The lagoon contains four types of mangroves: red, black, buttonwood and white. In them, countless wild species, plants and endemic animals live, such as crocodiles, leopard frogs, iguanas and white turtles. If you want to discover this natural habitat, it is best to do so on a boat or jet ski. You will have the opportunity to observe some species, especially birds, in their natural habitat. 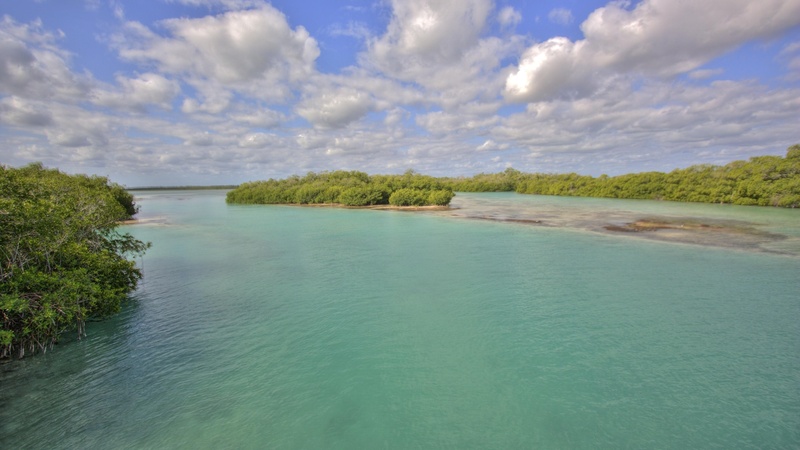 Many vessels cross the mangroves and continue their journey until reaching the coral reefs near Isla Mujeres, ideal for scuba diving and snorkelling. 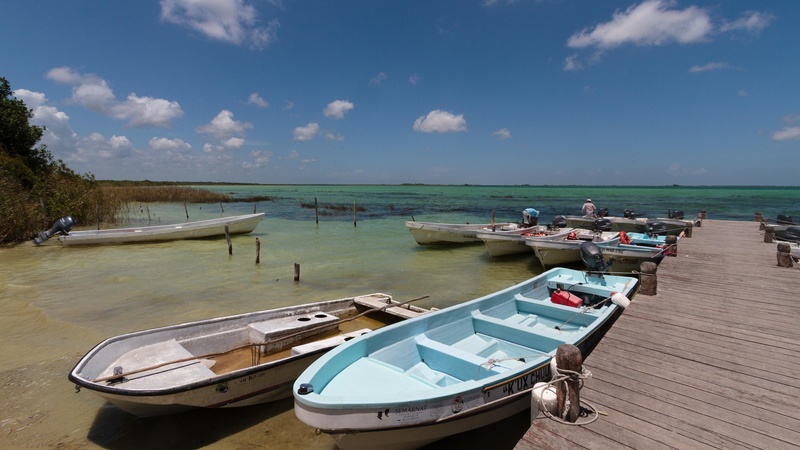 In Nichupté you can also carry out other activities, such as sports fishing and kayak routes, and if you are more adventurous, you may wish to try water skiing – it all depends on how much adrenaline you want to feel! If you are travelling with your partner and wish to have a romantic experience, don’t hesitate to take the trip by boat at night. 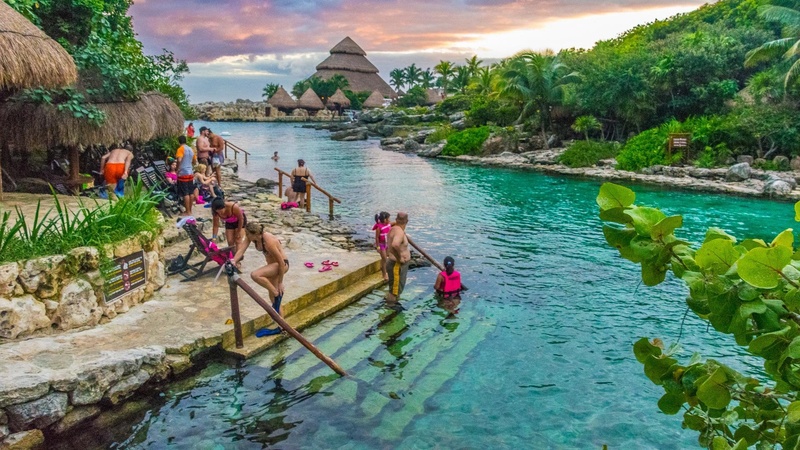 In its day, Xcaret was an old Mayan harbour for merchandise, which has today been converted into a theme park for discovering the essence of Mexico in an ecological, environmentally friendly way. 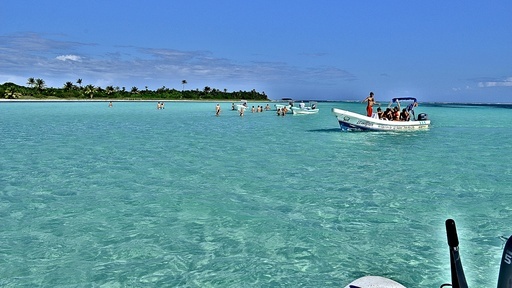 It is very easy to find, as it is located a few kilometres to the south of Playa del Carmen. To access it, you will have to pay the entrance fee, which varies depending on the services that you wish to include. Here you can have a full Mexican experience, in natural and cultural terms, as the attractions are focused on showing the best of this country. In the morning, it is recommended to visit the jungle area to discover all kinds of animals and typical plants of the region, which in many cases have been rescued. One of the most authentic areas is the butterfly farm, an impressive spectacle to visit. In the land area, we also find different restaurants for enjoying local gastronomy, and there are also various archaeological replicas for learning more about Mayan history. 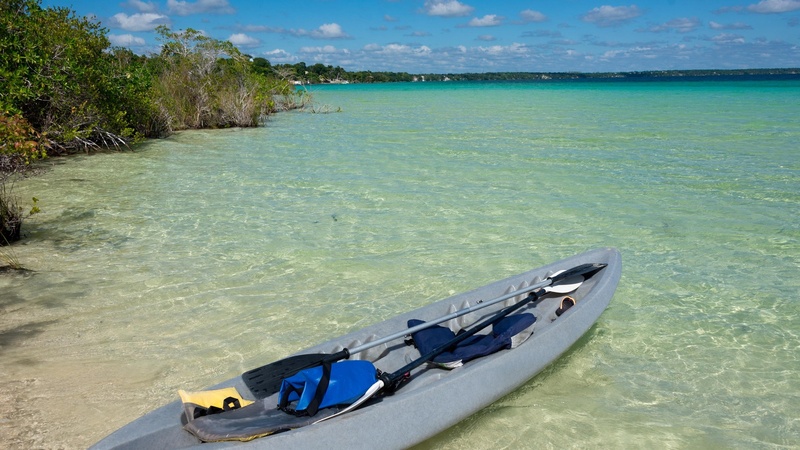 If we visit its impressive cove, we also find all kinds of water activities. Here, snorkelling trips can be taken, visiting the incredible coral aquarium in its natural habitat, swimming in underground rivers, visiting the island of the jaguars, or simply swimming. In all cases you will be able to appreciate the flora and fauna of Riviera Maya in natural surroundings. 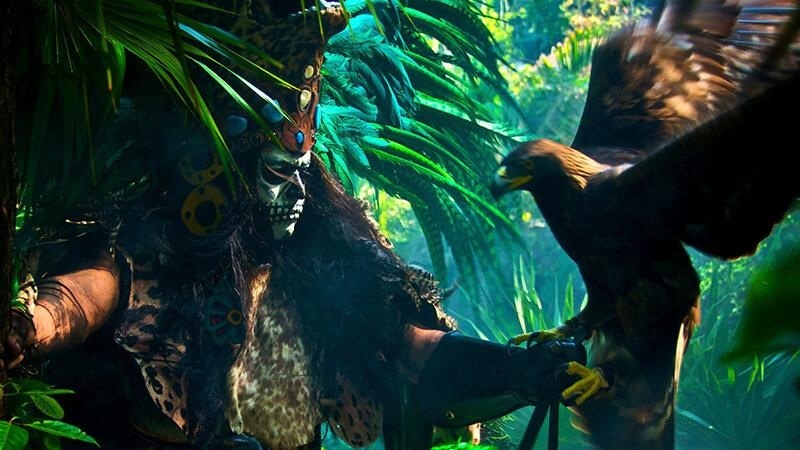 A total of 50 attractions will enliven this experience, but one of the most impressive is certainly “Xcaret México espectacular” the definitive show which serves to exhibit Mexican folklore and tradition, considered Intangible World Heritage by UNESCO and with the most notable historic moments of the Mayan civilisation thanks to the performance of over 300 artists. Thousands of surprises in one place! 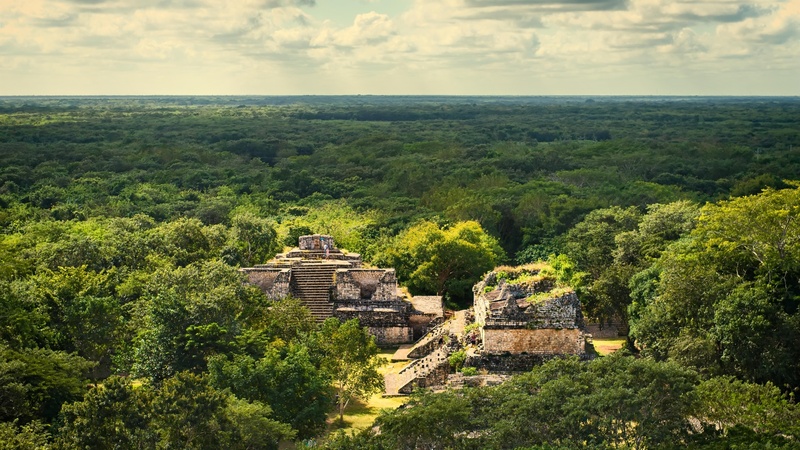 Riviera Maya is more than just idyllic beaches and lush greenery; this region is rich in pre-Columbian sites, the great Coba pyramid is notable, an imposing structure that has stood for over 1000 years, lost in the jungle of the Yucatán Peninsula. 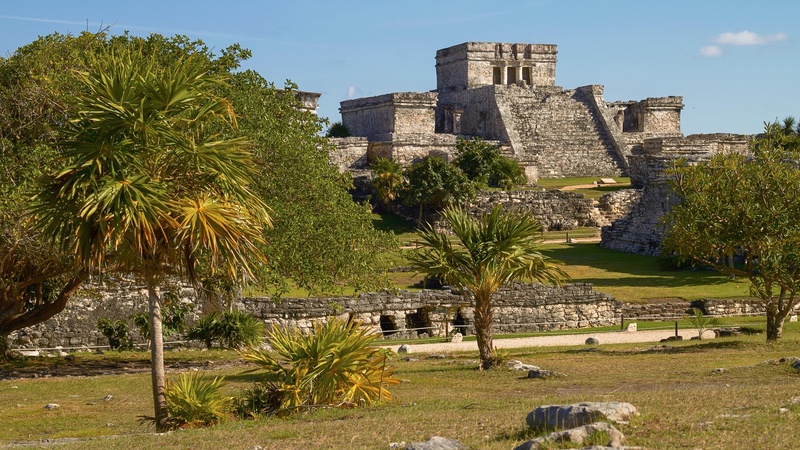 Inland, just over 40 kilometres from Tulum, we find this impressive construction which was formerly the centre of a city which in its most glorious period had over 50,000 inhabitants. Part of it has been excavated, but there are still many areas to discover. 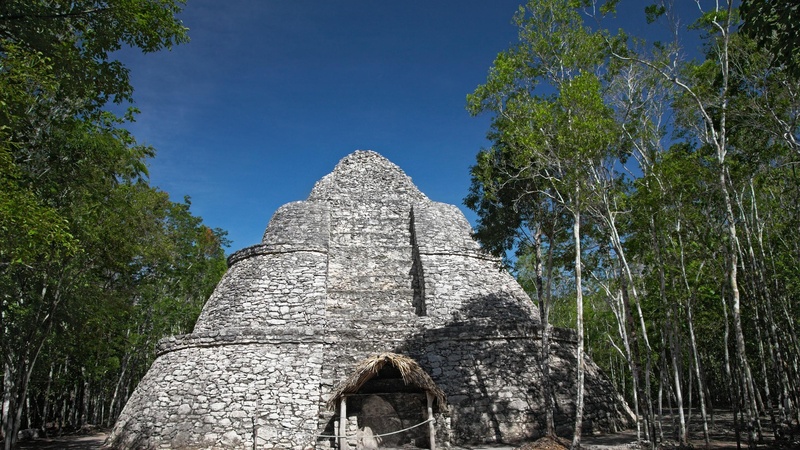 Although it is known as the Coba pyramid, for the name of the city, its true name is Nohoch Mul. It has a total of 120 steps and is 42 metres tall, making it the tallest in the Yucatán Peninsula. It is a very steep construction, which can be ascended to contemplate wonderful views over the jungle. In the area, we also find lakes and other archaeological complexes which can be explored on foot, although there is a cycle rickshaw service that covers transport to the different areas. There are also different street vendor stalls to purchase souvenirs or simply refreshments. Playa del Carmen is the tourist centre of Riviera Maya, and it is no surprise that here we find Quinta Avenida, which has the most glamourous places in the region for shopping or just having a drink and dinner in a unique Caribbean atmosphere. Of course, as in the rest of Playa del Carmen, Quinta Avenida is a unique place for spending an unforgettable night partying. Quinta Avenida is the longest pedestrian street running along the coast parallel to Playa del Carmen. During the day, this place is ideal for going shopping, from simple souvenirs to the leading brands of the fashion sector and even top-class designers. 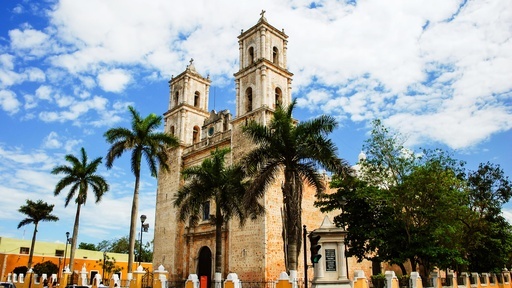 In the same street, we also find crowded areas such as Plaza de los Fundadores and the Chapel of Nuestra Señora del Carmen, places where you do not need to go shopping to enjoy the avenue. Once you reach the intersection with Calle 12, the party begins: small bars for enjoying a drink, nightclubs with several floors for dancing to electronic music, and simple establishments for spending some time until the early morning. 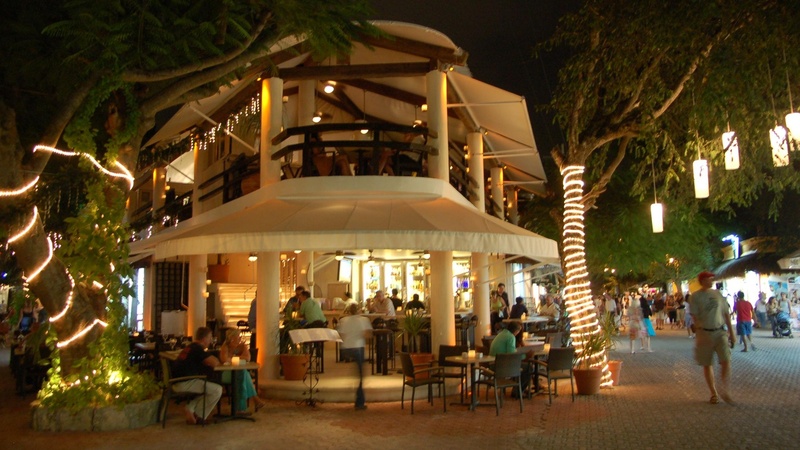 This is the range of establishments found in this part of Quinta Avenida. We also find inconspicuous places for enjoying the gastronomy of this country. 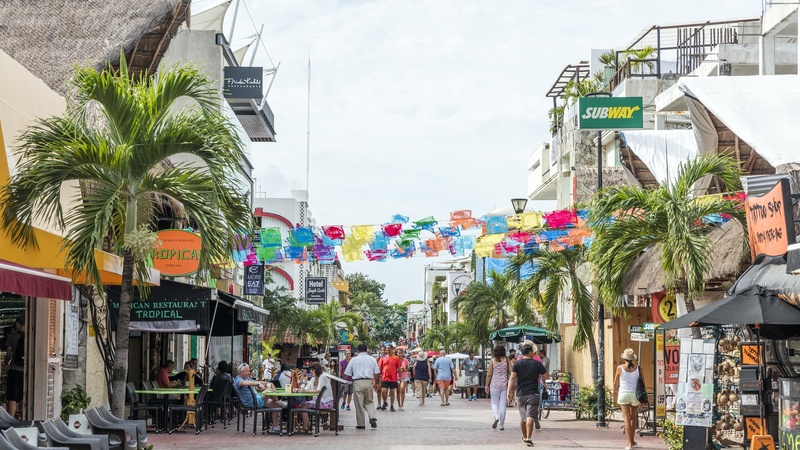 This is the case of Calle Corazón, accessed from Quinta Avenida, where we find charming restaurants, art galleries and cafés for refined tastes. As you can see, Quinta Avenida has everything necessary for spending an enjoyable day in Playa del Carmen without having to change location. The Sian Ka'an reserve, whose name in Mayan means “place where the sky begins” is a protected natural space located on the Caribbean coast in Quintana Roo, Mexico, declared as a UNESCO Biosphere Reserve and World Heritage site. 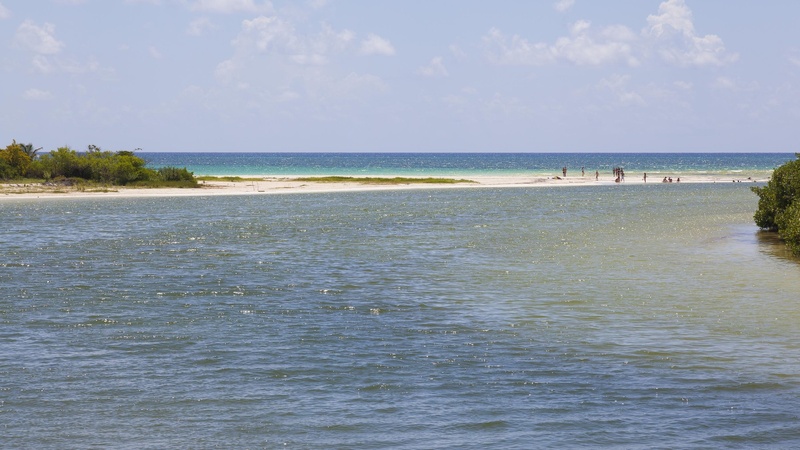 At the south of Quintana Roo we find this 500 thousand hectare protected natural area in its purest state. 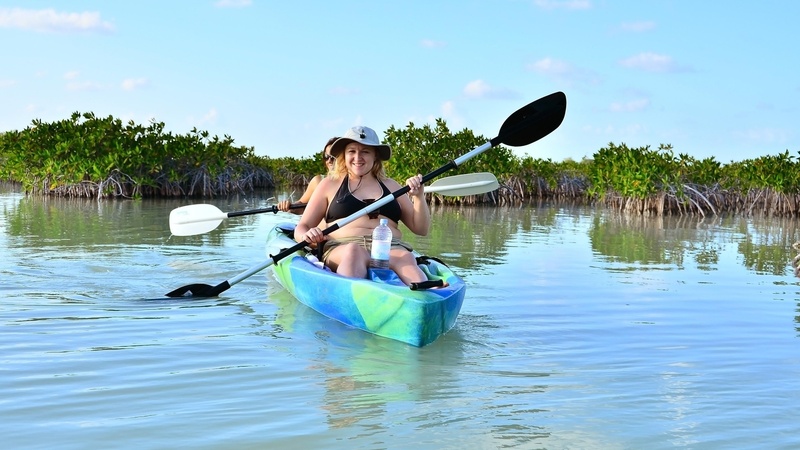 The area combines jungle, cenotes, beaches, dunes and mangroves, and as a result, a wide variety of plants and animals which have made this varied ecosystem their home. Birds are especially prominent with over 300 native species, and on the coast the green turtle and leatherback turtle find their ideal place to nest.